Given our strong background in Cabinetry and Stone Tops, we are a perfect fit for Multi Unit Housing projects. Through our parent company, Big Sky Hospitality LLC, we provide countertops and cabinets, sinks and faucets, wall and floor tiles, shower wall surrounds and shower pans, draperies and trim, casegoods and furniture, modular and custom casework for common areas and room interiors. 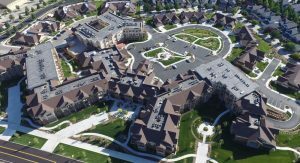 We have experience in large unit condo and apartment projects, assisted living and memory care facilities, residential construction, college dormitories, etc. We know that price is important and quality is a requirement for every project. We can download your plans from DropBox and quote a complete complement of products per your requirement. In house CAD design services available and turnkey solutions.